After a New York county declared a state of emergency to prevent the spread of a measles outbreak, why is the once-eliminated disease on the rise again? In all, 98 countries reported more measles cases in 2018 compared with 2017. But the causes varied wildly. The phenomenon has adherents in several Western nations, including Britain and France, but is arguably most high profile in the U.S., where measles cases leapt 559 percent between 2017 and 2018. “Anti-vaxxers” have for years cited a fraudulent 1998 study by discredited British researcher Andrew Wakefield that suggested a link between the MMR vaccine against measles, mumps and rubella, and a risk of autism and bowel disease in children. The U.N. Children’s Fund has warned that complacency and misinformation were driving the resurgence of measles among richer nations. “Measles may be the disease, but all too often the real infection is misinformation, mistrust and complacency,” UNICEF head Henrietta Fore said this month. Measles cases more than tripled across Europe in 2018, according to the WHO, with notable outbreaks in Romania, Italy and France. 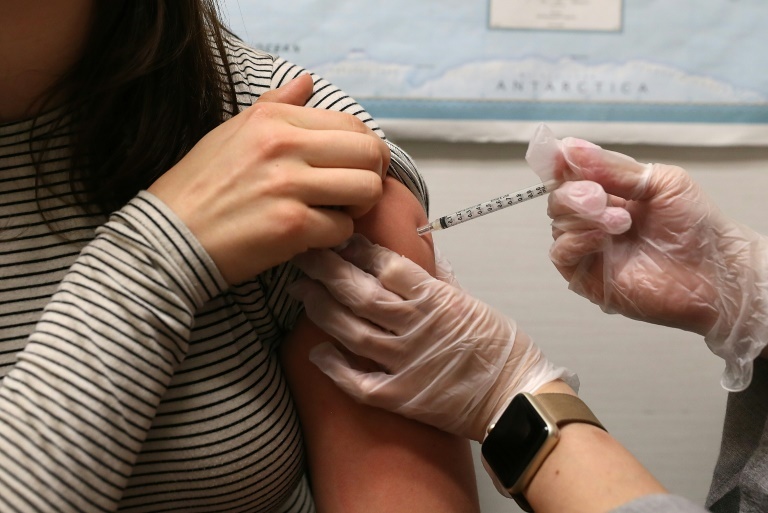 New York county hit by a measles outbreak bans non-vaccinated minors from public places in a bid to prevent the once-eliminated disease from spreading. In other parts of the world, many people lack access to the vaccines and clean sanitation needed to keep measles at bay. The WHO recommends a 95-percent vaccination rate to prevent mass hospitalizations and fatalities. Yemen also figures on UNICEF’s “top 10” list of countries showing the largest increases in measles cases last year with a 316 percent hike, from 2,101 cases in 2017 to 8,742 cases in 2018. Crisis-hit Venezuela, as well as areas of Brazil, have seen tens of thousands of confirmed measles cases since last year. In the Philippines, where vaccine rates have been declining for years, measles cases jumped from 791 in 2017 to 5,120 last year. Twenty-five people died from measles in January alone. And in Ukraine, which has experienced five years of simmering conflict with Russia on its eastern border region, more than 30,000 people have caught measles alone this year. At least 11 have died from the illness.